Kissing Crane Genuine Abalone Trapper Pocket Knife | BUDK.com - Knives & Swords At The Lowest Prices! 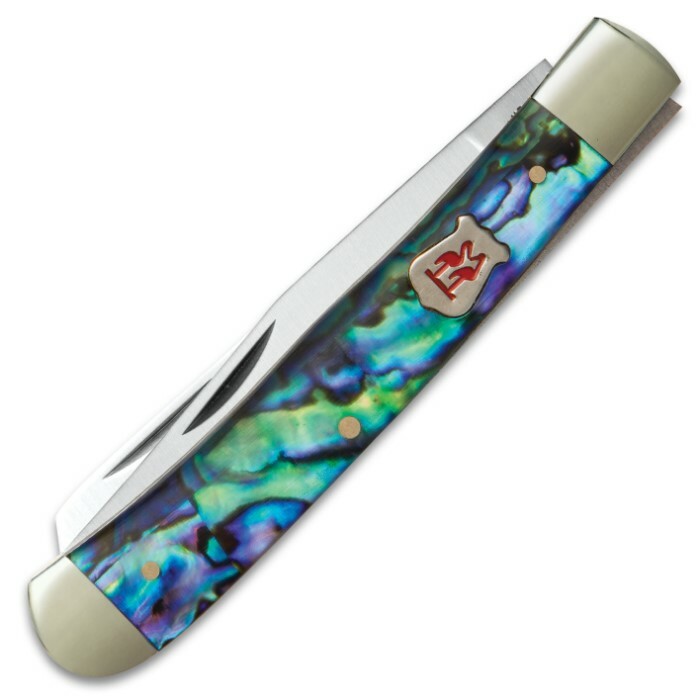 Experience the unrivaled quality of Kissing Crane knives first-hand with their genuine abalone family of knives. 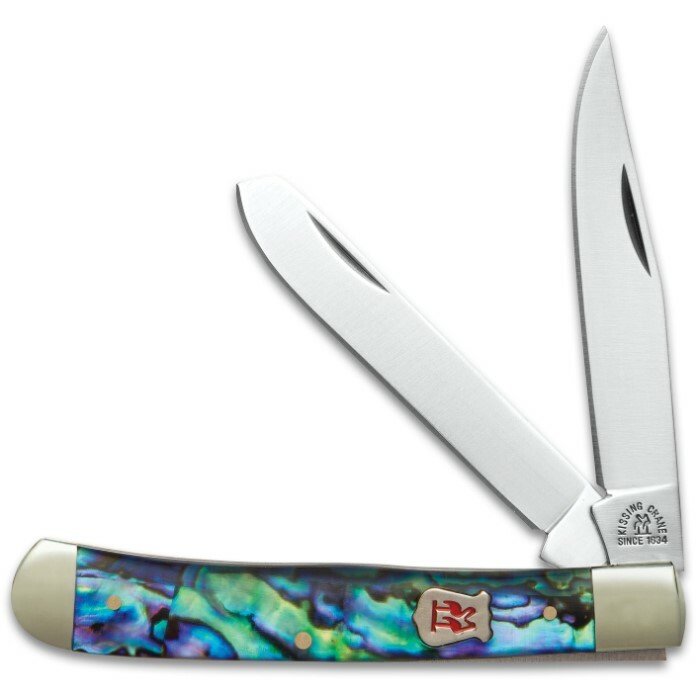 This Trapper offers elegant, genuine abalone handle scales that each look different. Each knife is accented by nickel silver bolsters and pins, and features razor-sharp stainless steel blades with the world renown Kissing Crane logo stamped right on the blade. 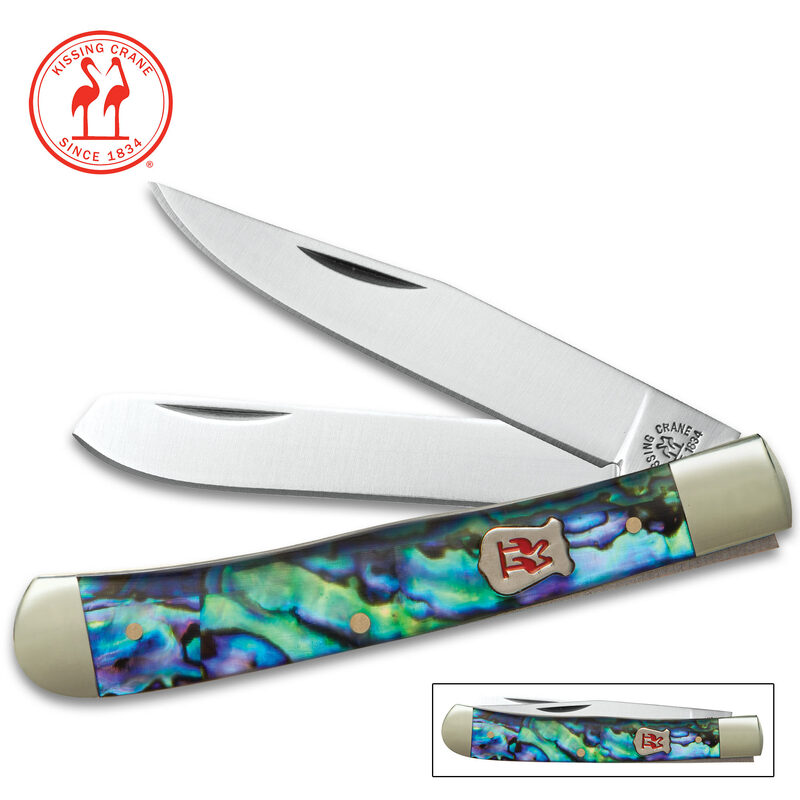 These limited quantity run of knives is individually serial numbered for increased collector appeal. Very nice knife for the money. Solid, nice looking and well made. Very nice knife well made and a great finish . Very well made, beautiful knife. It is hard to beat this kind of quality for the cost.